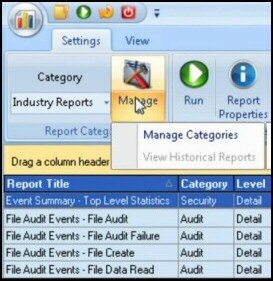 GUIs such as Task Manager lack the ability to group columns or objects. Hence, one of the benefits of using a PowerShell script is that you can append a Group-Object clause, and thus get a more meaningful display of data. I have also included the Format-Table -GroupBy parameter, which is an alternative technique to the Group-Object cmdlet. Get-Process | group company | Sort count -descending. Note 1: You don't need the backtick (`) to word-wrap to the next line, if you end the line with a pipe (|). This Group-Object example employs Get-Service as a vehicle for testing this PowerShell cmdlet. Once we have grouped objects, we can add clarity by appending extra code which sorts the items into numeric or alphabetical order. Observe in the following examples how PowerShell provides Sort-Object for sequencing the output. Again, here is an alternative technique employing Format-Table with -GroupBy to enhance the output. With Format-Table you can refine the output by specifying the properties. Note 2: These examples sort firstly on ‘status’, then secondly on ‘name’. My point is that typically of Microsoft, PowerShell offers at least 3 alternatives to achieve the same outcome. This pair of scripts compares the Group-Object cmdlet with the -GroupBy parameter. The purpose of this script is to find the most common log messages. Note 4: With Get-Eventlog, always remember the name of that log! For example, System, Application, Security or which ever log you are investigating. The purpose of this script is to find the most common error messages and group them. Note 5: Until I knew better I used the backtick (`) at the end of line 2. I now realize we can avoid this tiny symbol if you end the line with a (|). Compare and contrast with example 3a. Just when I thought this PowerShell cmdlet has no interesting parameters, I discovered Group-Object’s -AsHashTable, see more details here. As a result of this knowledge you can refine the output of a where clause by piping it into a Sort-Object statement. Group-Object is a useful addition to your PowerShell tool-kit, indeed the ability to control data output is a one reason for employing PowerShell rather than using the GUIs. A typical scenario for Group-Object is where you wish to aggregate the data displayed by a PowerShell query. As usual, you are spoilt for choice, the decision lies between piping to Group-Object, or alternatively to experiment with Format-Table -GroupBy.